Another favorite baking blog to share with you... Baked by Rachel. 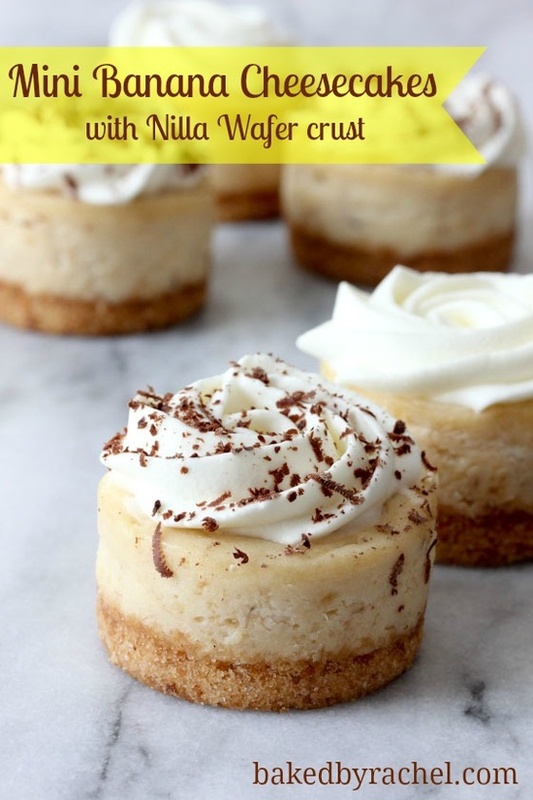 I love making mini cheesecakes and she has some amazing and creative recipes like this Mini Banana Cheesecakes w/ Nilla Wafer Crust. I always make individual cheesecakes using cupcake pans and foils and when I saw the mini cheesecake pan she uses from Norpro, I ordered it right away. Love it! I'll be making this recipe for the 4th of July. Thanks Rachel! Click here to get the recipe and to see more of Rachel's great cheesecake recipes.